Remember! MCC golf members can join the swim club for 1/2 price! *For Unlimited and Weekday memberships, each additional child will be $500. * Senior memberships are available to anyone 60 and over. * Junior memberships are available to anyone 17 and under. College memberships are available for anyone ages 18-22. Corporate memberships includes two members. All players must pay cart fees. Limited to two guests per visit. * Members may make tee times 14 days in advance, however, the pro shop must be notified of any cancellations. * All members receive 5% discount on hard goods, and 10% on soft goods in the golf shop. * Rates indicated do not include 4% amusement tax. * Applications must be filled out. * Add-On Membership must reside in the same household. 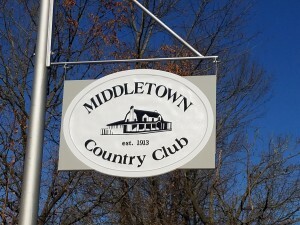 * Membership includes USGA GHIN handicap dues and Golf Association of Philadelphia (GAP) dues.